You are here: Home | Aluminum Sheet News | Why can rolled mirror aluminum sheet be used as decorative materials? Why can rolled mirror aluminum sheet be used as decorative materials? High quality rolled mirror aluminum sheet is often used as a decorative material, such as lighting decoration, interior wall and exterior wall decoration, automotive interior and exterior decorative lights. The common seen mirror aluminum sheet are 1050, 1060, 1070, 1100, 3003, and 5052 aluminum sheet. The high performance and application advantages are the reason why it can be applied as a decorative material in many fields. 1, Mirror finish aluminum sheet has mirrored appearance. The name of the mirror aluminum sheet comes from its material and appearance. It has a mirror surface and the material is aluminum sheet, and the mirror surface gives a crystal clear and high-quality visual experience. In the case where the appearance of the material can exhibit an excellent visual effect, it can naturally be applied as a decorative material, and can effectively enhance the aesthetics of the product after application. 2, Mirrored aluminum sheet has good performance features. The mirror aluminum sheet has the characteristics of good corrosion resistance, sufficient strength and good stretchability, and can maintain a stable structure and appearance in the application by virtue of rich characteristics, so that the product can be better in appearance when applied. 3, Rolled aluminum mirror sheet has good craftsmanship. Thanks to its excellent manufacturability, the rolled mirror aluminum sheet can be processed into many different decorative materials, so that it can be used in different fields for decorative applications. 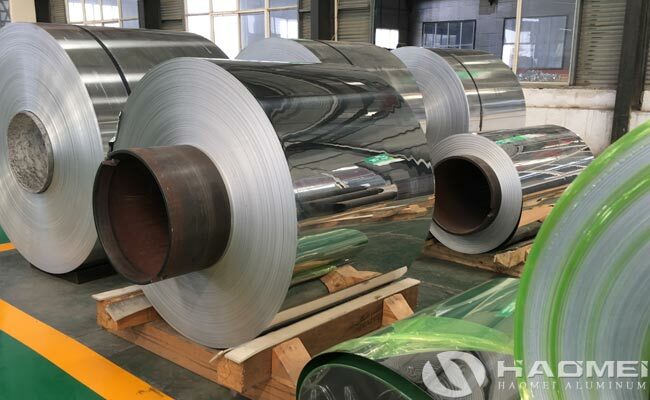 According to the application or requirement, the mirrored aluminum can be cut into sheet or be rolled for customers.